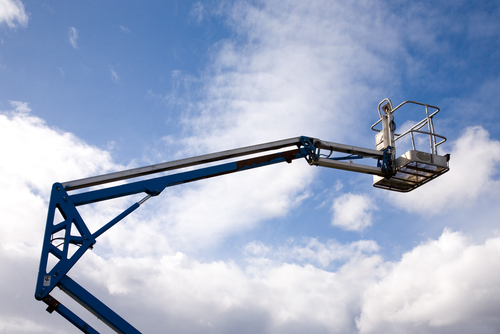 Articulating vs. Telescoping Boom Lifts: What's the Difference? 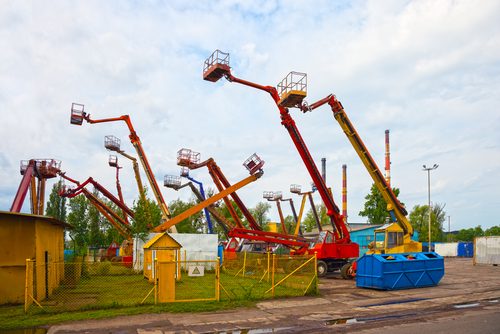 Articulating vs. Telescoping Boom Lifts: What’s the Difference? When looking to rent a boom lift for your work site, you may be wondering which type works better: an articulating boom lift or a telescoping boom lift. The machine you choose depends on what you’ll need it for and what type of environment you’ll use it in. This guide explains the differences between the two boom lifts so you can decide which one to rent for your next construction job. Articulating Boom Lift: What Is It? An articulating boom lift (featured image) has sections that bend, making it possible for the platform to go up and over obstacles. The machine is able to move sections of the lift independently, making it possible for operators to get into work areas that would normally be harder to reach. For this reason, articulating boom lifts work well outdoors in narrow places or in areas with obstacles. Telescoping Boom Lift: What Is It? Telescoping boom lifts are also aerial work platforms. Unlike articulating boom lifts, however, the boom sections on this machine extend out and up. Because the larger section is straight and the boom doesn’t compact down, the telescoping boom needs room to move. The machine uses hydraulics to extend or bring in two main sections, which makes the telescoping boom lift very stable. When deciding which boom lift is the better choice to rent, you need to consider whether you’ll be using it in an area with many other objects. If you have a congested and tight work area, you’ll want to choose an articulated boom lift. If the area you’ll use the boom lift is an open area with plenty of room to move around, however, either boom lift would work. If that’s the case, then you’ll want to look at other factors before you decide which one would be better for the job at hand. You need to consider whether you’ll use the boom lift inside, outside, or both. If you plan to use it inside, an articulating boom lift is your best bet. It prevents the use of scaffolding or ladders, which can be unsteady and simply are not an option for certain heights. Of course, either one can work outside, so that itself is not an issue. If you’re considering renting a boom lift for an indoor job, you will also want to consider the power or fuel source for the boom lift. Electric-powered machines don’t have emissions, making them the best choice for indoor areas that don’t have good ventilation. Another option is a dual-fuel boom lift that can burn either propane or gasoline by flipping a switch. This boom lift allows you to use gasoline when it’s outdoors and switch to propane — which gives off fewer emissions — when you move it inside. A good question to ask yourself is what you will use the boom lift for. As mentioned above, the telescoping boom lift is stable. For that reason, you can reach greater heights with a telescoping boom lift and still have stability. This machine is also great for moving work materials, such as roofing supplies, when you need to lift these materials to a high place and stack them. Additionally, it works well on rough terrain. If you need something that easily moves over obstacles and has flexibility on how it’s positioned, an articulating boom lift is a better option for you. You can position the boom lift and make adjustments to make sure you’re in just the right place to work on the job. This flexibility is one reason you’re more likely to see an articulated boom lift for fixing power lines; the operator can adjust the boom as needed for more exacting work. As mentioned above, telescoping boom lifts can generally reach higher heights than articulating boom lifts. Still, when you’re considering what boom lift to rent, you should know how high you need to go and make sure you choose the proper machine. Boom lifts may reach anywhere between 30 to 180 feet high. Ultimately, the main thing to remember is that workers need different boom lift sizes and types for different jobs. It’s best to rent these machines instead of purchasing them so you can ensure that, with each job, you have the right boom lift for your needs. If you require help choosing the right boom lift, talk to our experts. They’ll help you choose the machine that’s best for the job and get the rental to your location, often within 24 hours.